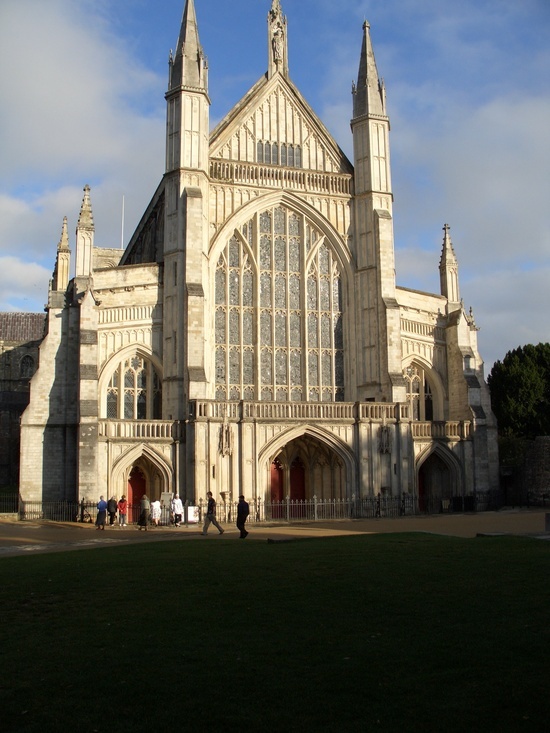 The cathedral was founded in 642 on a site immediately to the north of the present one. This building became known as the Old Minster. It became part of a monastic settlement in 971. Saint Swithun was buried near the Old Minster and then in it, before being moved to the new Norman cathedral. So-called mortuary chests said to contain the remains of Saxon kings such as King Eadwig of England, first buried in the Old Minster, and his wife Ælfgifu, are also housed in the present cathedral. The Old Minster was demolished in 1093, immediately after the consecration of its successor.